The Diary of Alpha Kappa Psi showcases the lives and accomplishments of alumni each issue. Our Summer 2018 issue features Kimberly Wong, Andrew Glantz, Amy Fox, Al Baker, and Sara Preston. It seems like Kimberly Wong isn’t afraid of anything—and maybe she isn’t. When moving forward is your lifestyle, simultaneously living in the present while preparing for the future is crucial. 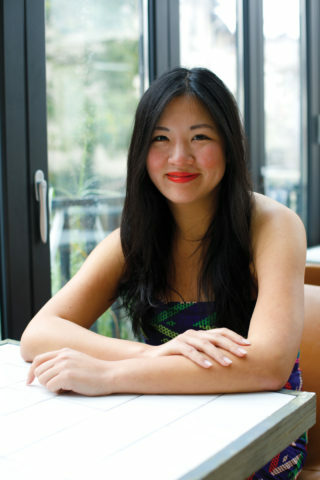 Kimberly Wong’s fearless risk-taking hasn’t just led to great opportunities for her; it’s made healthy food more accessible to the nation of China and is about to break her into the world of design. And as with so many success stories, hers started with listening to her instincts and moving beyond fear. After graduating from NYU, Kim made the decision to begin teaching English in Japan. Even though her background wasn’t in education, and her friends and family were nervous, Kim looked at this as an opportunity to free herself from her comfort zone and hone her international communication skills. You won’t be able to take every opportunity you’re offered at the same time. What you define as fulfilling your passion and purpose can change over time, and because it’s the most limited resource, you need to take chances and know when to make a change. I think I’d love an academic setting to talk about finding a conscious path in life and the importance of daring to dream and to think beyond just industries outlined in school. 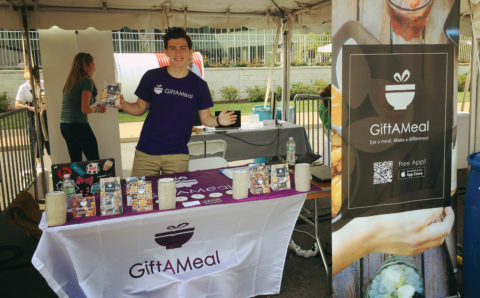 As just a sophomore in college, Andrew Glantz founded his first start-up. But Andrew’s bottom-line isn’t about money—Andrew wants to help others, a passion he’s developed since high school. When Andrew Glantz took a lunch break from his internship at a venture capital firm in October of 2015, he didn’t know he’d made an arbitrary choice that would spark his career. While taking a bite of pizza, he had an idea to drive more traffic to restaurants while also helping support the undeserved. And so, Andrew’s company GiftAMeal was born. The concept is simple: restaurants purchase a subscription for their business to be listed as a participating location. Then whenever someone eats at that restaurant and snaps a photo of their food or the space, GiftAMeal donates a meal to someone in need. Currently in more than 100 restaurants and three cities, Andrew plans to keep growing over the next three-five years to become nationwide. 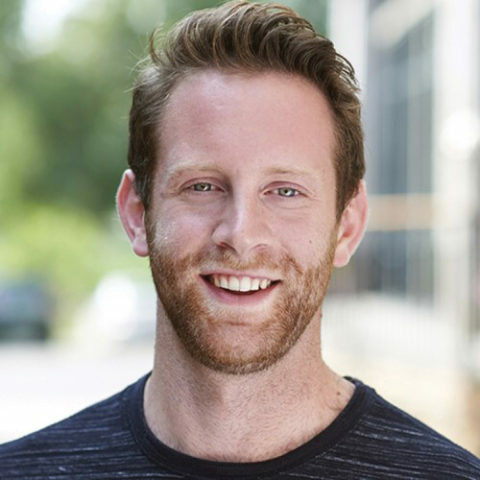 Because Andrew began his startup while still a student at Washington University, he needed a lot of support from his peers to make everything happen and maintain his workload. This is where Alpha Kappa Psi came into play. “The brothers were a big help throughout the entire process,” he said, “They created GiftAMeal’s website, managed our social media, and performed app testing to help get things started.” Andrew’s chapter position as VP of professional development was also a big contributor to his current success. While in this position, Andrew began to consider all the factors at play in effective business, including those that are more outside the box like behavioral science principles. As Andrew explains, “Not all decisions are purely rational, and you really have to think about the framing and messaging.” To help members of the Alpha Lambda chapter explore this concept in their professional development, Andrew brought in a psychology professor to discuss the finer elements of psychology and business. Then, to make this study more practical, Andrew had the brothers put it to work. He developed a negotiation training exercise where brothers were paired up as recruiters and prospective employees and engaged in a negotiation over the benefits of a job, like pay or location. In doing this, Andrew noted that participants had to take time to understand the viewpoints of other parties, their preferences, and the ways in which to most effectively balance different issues to reach the optimal outcome. The activity cemented his belief that psychology plays a role in the business world and he helped members of the chapter see this as well. In high school I helped plan a kids’ carnival when I was vice president of a non-profit called Jr. Variety. We raised over $300,000 for children in Southern California. It was the first time I built something that had real, tangible results to make an impact. I had to learn that there’s a big difference between what provides value on paper and what will actually convince people to take action. I would probably be running another startup, working in venture capital, or leading new strategic developments at an innovative tech company. Amy Fox is a successful executive at a leading tech company. But it took her several twists, turns, and trips to realize that her passion lies with the people around her and the connections she makes. Amy’s journey to success has been long and winding, by some standards. Before her current role as an executive at Lyft, she worked in multiple industries and cities throughout the country. But when she gets down to it, Amy says that joining Alpha Kappa Psi while at Colorado State largely shaped her success as a business leader and was one of the best choices she made at the time. Amy explained that while she saw friends joining sororities and fraternities, she was worried that these type of organizations would be a distraction to her educational pursuits.  But when she realized that a group like AKPsi existed— one that combines the brotherhood and connectivity of a fraternity with professional development— she knew it was the perfect fit. Amy joined the Nu Rho chapter her sophomore year and was a dedicated member for the remainder of her time at CSU. After serving on several committees, Amy ran for president and won her senior year. After graduating with a finance degree, Amy decided she wanted to “work alongside the best of the best,” and chose to start her career in New York City. Although she was a finance major in college, she valued the interpersonal relationships and people-facing experience that she had found at AKPsi. She decided against the hedge fund career in front of her, and instead started work as a recruiter at a global recruiting and talent firm where she helped develop and place talent in a more forward-facing position. “It allowed me to utilize those skills of leadership and management that I had learned in AKPsi,”she said. Though Amy excelled in her position as a recruiter, she still found herself feeling unfulfilled while working in New York. After some careful soul-searching, she realized she yearned for the life she left out West and its culture that focused on the outdoors. After discussing it with her husband (and fellow AKPsi and Nu Rho member Chris Hutchins) they decided to move to San Francisco, where he had a job offer and they knew professional opportunities and outdoor adventures would intersect. Amy spent time considering several new career paths, including law school, but the need for self-exploration continued to persist. After working at a litigation consulting firm for some time, Amy and her husband made another life-changing decision to take the year off and travel the world. In a trip spanning multiple continents, from small villages in Africa and the Middle East to large bustling cities in Southeast Asia, Amy began to understand more about herself. After impressing the company, Amy was hired almost immediately. 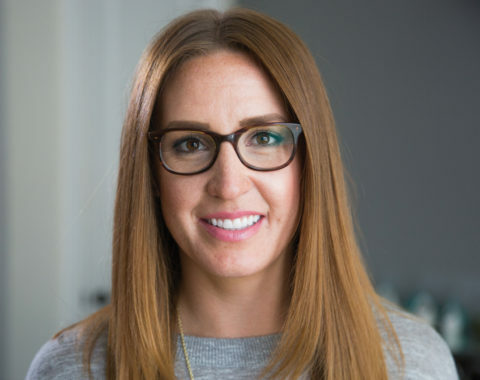 Over the past seven years, Amy has been promoted an astonishing five times, leading the company’s business development and strategic partnerships and securing relationships with companies like Disney, Delta Airlines and Budweiser. But throughout the entire experience, she still says it’s not about her, rather all about the people she works with. “You need good people around you. It’s not about the lone wolf,” she said, “but about the wolf pack. Failure. I previously didn’t accept failure and didn’t like to admit I couldn’t do something because it made me feel inferior. Over time, I’ve learned that failure is a good thing. It shows you’re pushing the boundaries of what you’re capable of and trying new things. It serves as a great data point to reflect on and understand what went wrong in order to avoid it in the future. It’s one of life’s greatest lessons. My on-the-spot interview with Lyft was definitely my first big break. Joining Delta’s Technology Advisory Board. I have huge admiration for how they think about solving problems by putting the customer at the center of the universe— very similar to Lyft. Highly motivated and caring for those around him, Al Baker has founded multiple startups and reached success in the medical technology world. But before he could get started on this path, he first needed a little bit of college-age rebellion and the discovery of AKPsi to get started. Though he had tried to explore other areas, entrepreneurship is simply something that defines Al. Whether that means assembling the best team, connecting with customers or creating innovative products that truly help others around him, Al has always lived life with drive and an individualistic streak. “I’ve been told I live life by the beat of my own drum and I never really saw myself as being part of a crowd,” he said, “I saw myself as being someone who could fit into any crowd.” In fact, as a student arriving on campus, he had little interest in using his school time for anything accept striving toward his professional dreams. When asked about his first encounter with Alpha Kappa Psi, Al explained he almost didn’t join. Upon joining AKPsi, Al said that while his determination and self-assurance remained, he began to realize the importance of widening his social circle and embracing the brotherhood aspect of a business fraternity. Thanks to the connections he had made within the organization, Al eventually found his first taste of success at nineteen when he scored a highly sought-after internship with United Health Group, specifically as the youngest member of the corporate strategy group. Over the next few years he continued to rack up internships with multiple companies, perpetually sharpening his understanding of high-level business operations. But after putting on several successful programs and events for AKPsi, he came to the realization that while he excelled working for other companies, he was also quite good at starting things from the ground up. By winter and spring of his senior year, he had three startups going at the same time. Though two of the startups—a whiskey distillery and a thief-proof backpack for traveling—eventually petered out, the last one stuck. Using biometric wearable technology, Reemo was built to provide users with gesture control for appliances around their home. After a decision to pivot markets, Al ingeniously realized that a product with this capability could best benefit senior citizens, particularly those aging in home or living alone. But he also knew that the challenges of elderly individuals were something he had no real grasp on. So, as many great entrepreneurs do, he decided to think outside the box. “We stopped writing any new code and halted development,” he said, “I and my CTO decided to go live in retirement communities for week-long stretches at a time. We had our own rooms. We did breakfast, lunch, dinner, bingo, happy hour, all of it.” Al didn’t use this time to sell or pitch his product, however. Instead, he patiently listened to the residents’ stories, concerns and hopes, and later used those insights to help improve and rebuild their smart watch prototype to serve the needs of those around him. Since then, Al has been hard at work with a new position at The Goodman Group. After seeing his thoughtful guidance at Reemo, the senior living and healthcare corporation tapped him to become their director of innovation, where he works to help them understand and identify what cutting edge tech to invest in. However, he still finds time to interact with the fraternity on a routine basis. Serving as president of the Twin Cities alumni chapter, he organizes and attends the chapter’s Tuesday lunch meetings. He is also an active board member of the Alpha Kappa Psi Scholarship Fund, which awards scholarships to students attending Carlson School of Management at the University of Minnesota who have strong academic records and leadership experience. In the end, Al said, it all comes back to giving back to people around him and trying to help them with his unique and experienced perspective on the entrepreneurial life. The deal’s not done until it’s signed. Probably golf or extreme sports, like snowboarding or skateboarding. I’ll say sticking to my diet for more than a month. Entrepreneur and mother Sara Preston knows the value of her time, and that efficiency is key to finding balance between many demands. For her, this means using the tools of the internet to build her health and fitness brand in a new and exciting way. For Sara Preston, owner of Sara Preston: Healthy Living, career flexibility is both a dream come true and something she works at every day. As a mom and entrepreneur, Sara understands the benefits of choosing where, when and how she works. It’s her passion for fitness that’s finally given her this option. In 2016, Sara decided to become an online health and fitness coach. 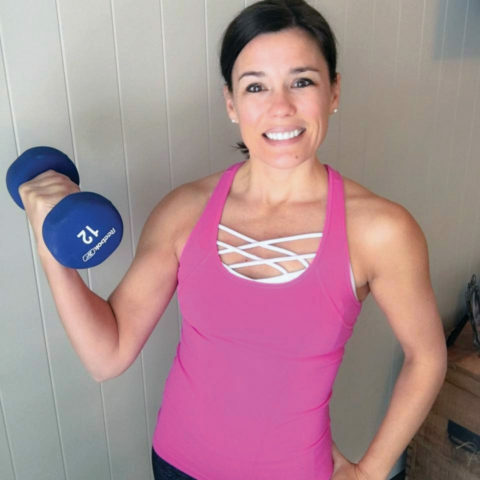 “I help people who are looking to get started with fitness to change their mentalities, gain confidence, plan meals, and of course lose weight,” she says. For Sara, this means providing healthy meal plans, workouts from home and one-on-one mentoring. She also facilitates an online group for her clients to support each other and share tips. After dedicating herself to raising her four children through their toddler years and into school, Sara decided she wanted to do something just for her. She’d always had a serious proclivity for fitness, having been an athlete in the past and coaching her children’s sports teams today. But, Sara didn’t want to just do something physical; she wanted to give back. For her, reaching her goals means helping others reach their own goals. She says, “I feel I’ve made an achievement whenever my clients do.” But her job is also demanding, and not one she takes for granted or attributes to any one circumstance. For Sara, the concept of a big break is a little laughable after her endeavors. She dismisses the idea that any one thing is responsible for changing a person’s life or jump-starting their career.“AKPsi taught me to always reach,” she said. “As an entrepreneur, you have to work so much harder beyond 9-5.” And to this end, Sara knows the power to change her life is in her hands. It’s something she shares with her clients. Alpha Kappa Psi helped Sara spark her vision and carry it into reality. Her time as president of the Beta Gamma chapter also taught her strong communication skills and one important secret about marketing. Sara says the best advice she got from her mentor at IU was “It’s not the product and it’s not about you. Marketing is about finding out what exactly your audiences’ needs are and then how to fill those needs.” Sara was able to apply this in her business because she already knew her audience acutely, having struggled before with making her own fitness and health a lifestyle rather than a punishment. You are not for everyone. Everyone may not like you or the products that you use and that’s totally OK. I would probably have gone back to my marketing degree and done something in corporate marketing. I like to look at my achievements as what my clients achieve. So if I can help them get healthy and feel more confident, that is an achievement to me.